After nearly two years of production, under a grant from NSF, Peep and the Big Wide World has launched a completely redesigned site — and it’s bilingual, too: the content for both grown-ups and children is available in both English and Spanish with a single-button toggle between the two. 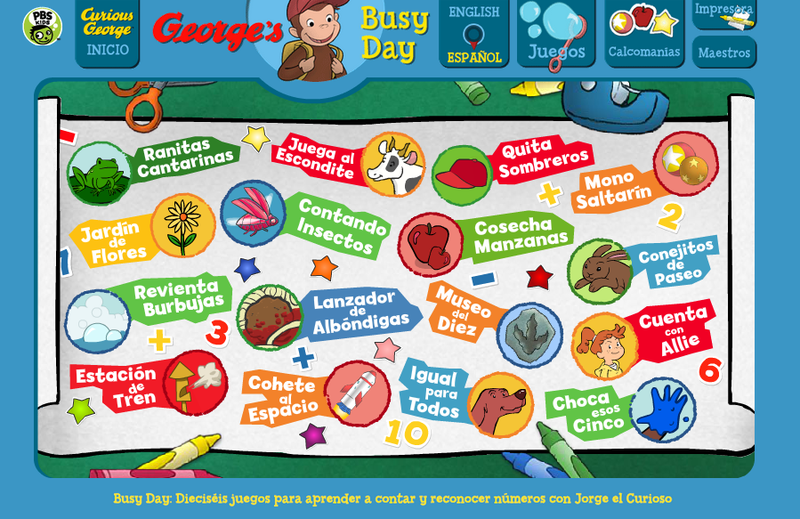 No other set of educator and family resources on the Web offers the same depth and breadth of content in both English and Spanish. Congratulations to a massive team from across the foundation (22 from the Digital department alone) for all the hard work and innovation that has gone into this project! The new site includes a full six-unit preschool science curriculum for family childcare educators; a set of over 100 standalone activities that can be incorporated into the existing curricula of more experienced educators; as well as a collection of 72 professional development videos for both family childcare and center-based educators. Targeting families, we’ve added a set of parenting videos for children ages birth to five to complement the more than 100 Anywhere Science and Math activities that relate directly to every episode from the show. Parents can now find simple kid-ready science and math activities; recommendations for other related activities; plus relevant books and games — all reinforced by video interstitials from the show related to each activity’s topic. While all this content for grownups is unprecedented, Peep is primarily a site for children. Children coming to the new Peep site can now play 16 games (with six more to launch in the new year) and watch over 50 videos while exploring six themes of content all designed to allow children to dig into a variety of subjects on their own. The scope of this project firmly puts WGBH at the forefront in the field of bilingual early childhood education, and is something of which every individual involved should be proud. 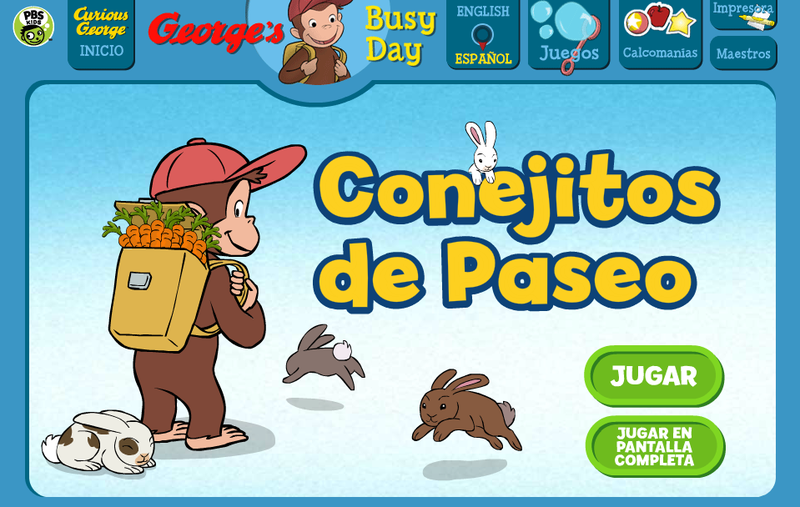 Our sixteen awesome Curious George Busy Day math games are now available in Spanish, along with a Spanish guide for teachers and companion versions for interactive whiteboards. 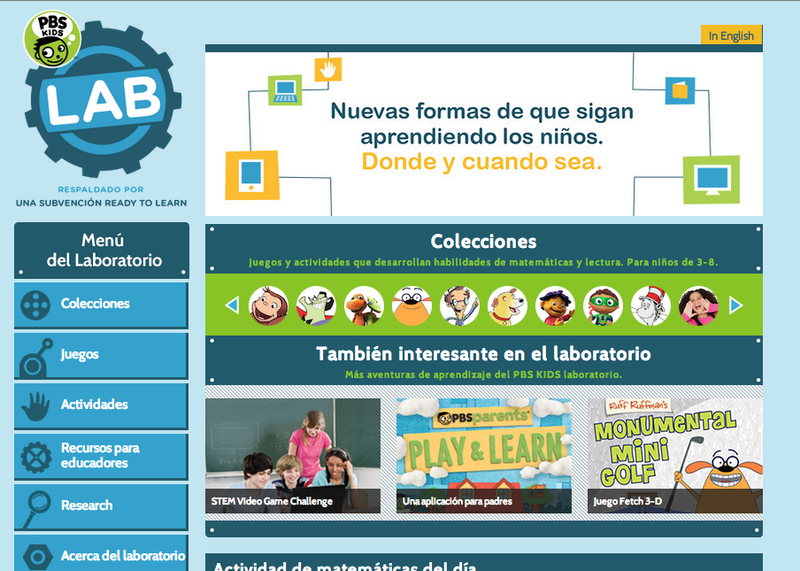 Our revised designs for PBS Kids Lab just launched. This bilingual, mobile-friendly resource for parents, educators and researchers is a one-stop-shop for all things Ready to Learn. This revised version contains new designs, new organization and the latest round of research. We will soon be adding all the new transmedia suites and Spanish games generated by PBS producers from this year of this Department of Education project. The WGBH team for the Lab is Sylvia, Mike, Dan P, Li, Amy and Bill with support from Melissa, Jesse, and Belinda. The PBS team for the Lab includes Jean, David, Jen, Lori, Sara, and Chris.